Thunder is the last sound you want to hear when you are relaxing on Alabama’s beautiful beaches unless it’s the roaring sound coming from Thunder on the Gulf. Fans of all ages are eagerly anticipating the annual powerboat races on the liquid race course in Orange Beach. The speed, the adrenaline and the anticipation of seeing what high powered speed boat is going to win are memories in the making. The Gulf Coast Powerboat Association announced the creation of the Flora-Bama Shootout Grand Prix Championship. This year fans can take advantage of two exciting race days by viewing two races in two different cities in the same weekend. The 11th Annual Thunder on the Gulf is in Orange Beach on August 22 and the Inaugural ThunderRun Super Boat Grand Prix is in Pensacola on August 24. Both locations are only a short drive apart so you can cheer on racers in both Alabama and Florida. 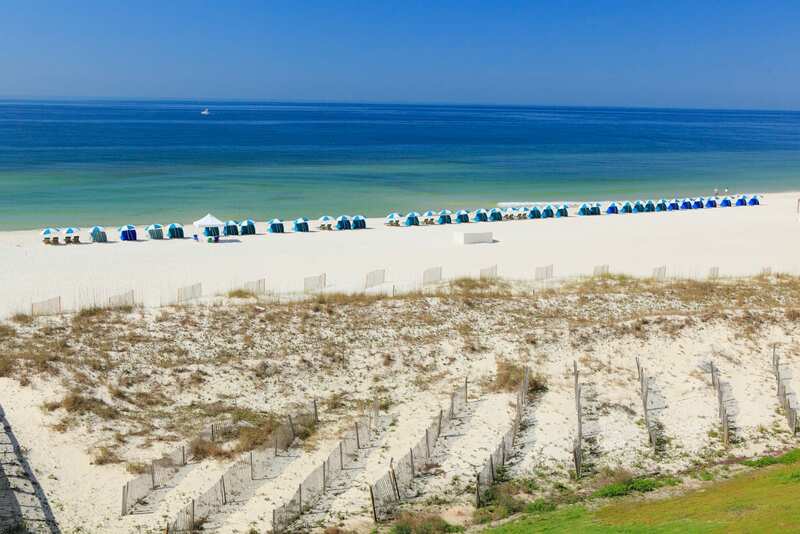 Thunder on the Gulf is a well-known event recommended by many travel industry experts and it draws in teams and fans from around the country and world. This fun-filled event has been named by The Southeast Tourism Society as one of the Top 20 Events in the Southeast for August 2014. Festivities will begin at the famous Flora-Bama Yacht Club for a meet and greet with race teams and to celebrate Flora-Bama’s 50th anniversary. All ages are welcome to this historic party on Thursday, August 21. This year’s race is being called the “Flora-Bama Shootout” in honor of their half a century anniversary. After the Welcome Party, The Marshall Tucker Band will take the stage and bring their Thunder to the Gulf at The Wharf’s Amphitheater for the official kick off concert. Thunder on the Gulf is a family-friendly event and can be viewed by thousands of spectators. Viewers can watch the race from any Orange Beach public beach accesses for free. The liquid race course runs from Perdido Pass west to the boundary of Gulf State Park. VIP Pass Packages are available for admittance into the VIP Tent at Race Central at Island House Hotel in Orange Beach and the VIP Tent at Plaza de Luna in Pensacola. Kid’s VIP passes are also available for kids age 12 and under. For the first time ever, Thunder on the Gulf is offering an elite Platinum VIP Experience that will include access to watch the race from the 29th floor at Turquoise Place for a bird’s eye view of the race. Included in the Experience is lunch, drink tickets, live entertainment and access to the VIP tent in Pensacola. Click hereto reserve your VIP Passes or Platinum VIP Experience Passes. If you’re looking for the perfect location to view the races, check out the Thunder on the Gulf free night special at Turquoise Place.